Georgiev and Kolev give some analysis of the following line in the Sharpest Sicilian 2012(Chess Stars 2012). 14…Nc5 is the Georgiev/Kolev repertoire. 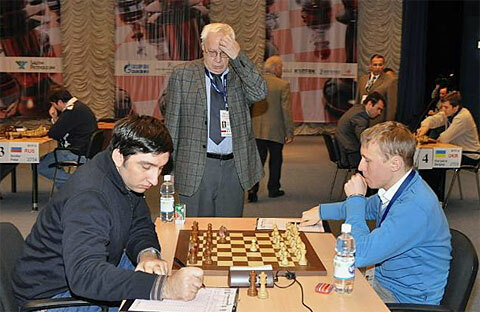 Here is a game featuring 14…Nc5 from the 2009 World Cup featuring Gashimov,V and Li Chao. Black has erected a brick wall around his king. What do you suggest for white? A complex RR-RN ending is well underway. Black has counterplay looming with the a,b pawns on the march. What do you suggest for white?